How has oil affected and changed Southwest Asia? Oil production and distribution has made the Middle East a very important figure in politics. Without all that crude oil in Southwest Asia many of the people would just be nomadic herders. Oil gives us many uses such as plastic, fertilizers, pesticides, and cleansers. They also provide us with many other uses like fuel. Examples are gasoline, diesel, jet, and heating oil. There are many countries with oil in the Middle East. Some of these countries are Iraq, Iran, Kuwait, and Saudi Arabia. In 1960, all these countries and others such as Venezuela formed an organization called OPEC (OPEC stands for Organization of Petroleum Exporting Countries). 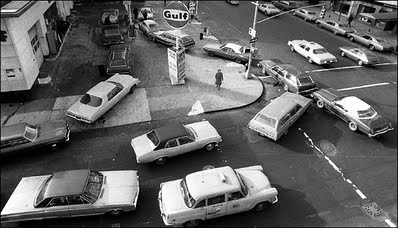 When oil started to get too expensive, the U.S. and other countries needed another country to depend on. Soon enough they turned their attention to Southwest Asia. When Southwest Asia had countries depending on them because of the importance of oil it has taken advantage of this opportunity of this power. If Southwest Asia does not agree what another country does, it can put an embargo on that country. That is why they have such a great influence on countries that depend on them. OPEC countries in Southwest Asia have gained wealth. These Middle Eastern countries have also raised their standard of living. A citizen that lives in a wealthy country may have the access to quality houses, food, health care, education, jobs, transportation, communication, and luxury items. But unfortunately, for some of these oil rich countries, it has also created many conflicts as well. There isn't a balance between the rich and poor citizens of Southwest Asia. Most of this occurs in Kuwait and Saudi Arabia. This imbalance has lead to hatred among these people. a. Explain how the distribution of oil has affected the development of Southwest Asia (Middle East).